Subscription Boxes are something I wasn't really familiar with before I started blogging. Now, a day doesn't go by without someone writing a review on a subscription box. The market is becoming somewhat saturated, with beauty boxes being the most popular amongst my fellow bloggers. With my limited knowledge of beauty products I've never really been too interested in getting a beauty box subscription. I think I'd probably end up not using half of the contents, so it never seemed like a wise way to spend my money. But then My Little Box came along and after a month of resisting (which I now seriously regret as I missed out on the first box) I am now a very happy box subscriber. My Little Box contains not only beauty but also fashion and lifestyle goodies, all fitting in around a different monthly theme. Each box comes with a pouch full of beauty products (including one from the in-house beauty range "My Little Beauty"), "My Little World" lifestyle magazine, illustrated goodies from artist Kanako and fashion and lifestyle accessories. 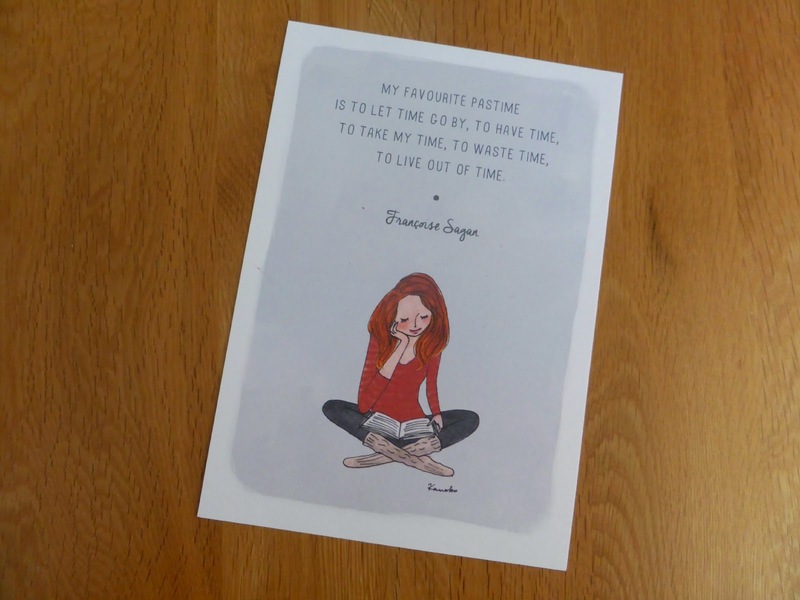 My Little Box has been around for a while in France but only launched in the UK in September with the "My Little Parisienne" Box (yes, yes, this is the one I missed out on .. SOB!) and has been a bit of a hit. I'm giving you a little sneaky look into the two boxes that I've received since starting the My Little Box subscription. I think once you've seen, you'll agree that a subscription would make a fantastic Christmas present. My first box was issued in October and was a celebration of designer Diane von Furstenberg. The DVF box contained some amazing goodies including a special DVF print scarf and a brooch. The second box arrived on my doorstep only this week and is a perfect box of treats now that the weather has got a little colder. 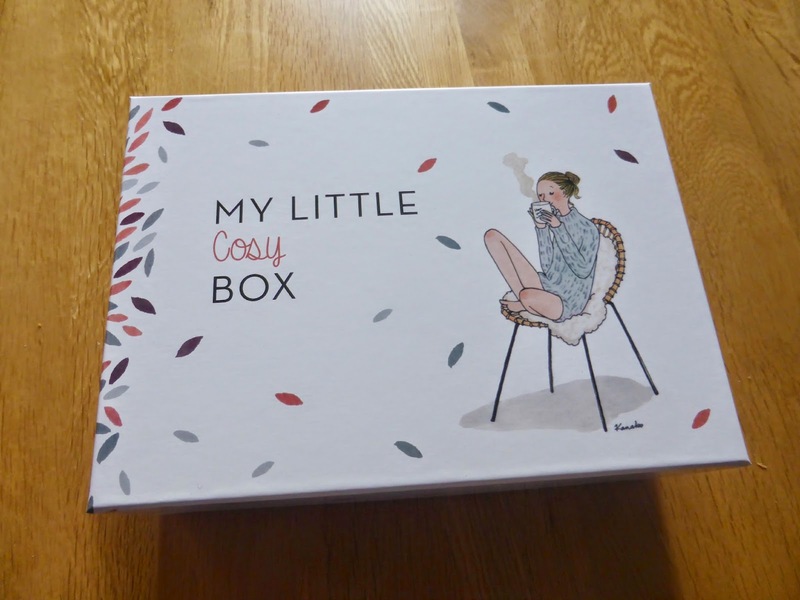 "My Little Cosy Box" made me squeal, mainly because it contained a really cute espresso mug. I'm not an espresso drinker but I quite like the idea of making myself mini hot chocolates in it. I also really loved the heated cushion which became a bit of a godsend when our heating broke! The magazine that comes in each box is great to pop into your bag. It's small but manages to pack in quite a bit of information to enhance your enjoyment of the goodies in your box. Each box also contains a little card illustrsted by artist Kanako. I love the little uplifting messages each one has so I'm planning on framing some of them to put on the walls when we buy our first house. Once you've unpacked your box if you still haven't had enough there's also the My Little Paris website to visit (so lovely it makes me even more desperate to visit) and the My Little App which is updated daily with recipes, competitions and cute things to add to your phone. My Little Box costs £11 a month and you can order it as a Christmas gift here with a choice of buying a 3 month, 6 month or 12 month subscription. I love the idea of a lifestyle box!! I'm also clueless about beauty products but this would be right up my street! Two boxes in and I'm loving it so far! I love the lifestyle box - the coffee is a really nice touch. It's great to get so much variety in a subscription box! Even the boxes are cute! I'm going to need to find lots of things to keep in them! I love subscription boxes, this one intrigues me! I can't see me ever getting bored of them, I'm already looking forward to the next. Hope it's Christmas themed! The Cosy box looks heavenly! I'm never sure about beauty boxes as I just don't know what to do with makeup (haha!) but a lifestyle box like this is just such a lovely idea! I have to say...I am tempted! I'm the same, these are gorgeous though! The only problem is the boxes are so cute I end up wanting to keep all of the packaging that comes with it, I'll be overrun by boxes soon! I signed up early November and still haven't got my first box (which they've since refunded and are still sending my way). I don't know what was going on but loads of people weren't getting their boxes. I want my cosy box to arrive, at least it's finally listed as posted on my account. How long to they tend to take to arrive once they've been posted? Argh no really?! Mine tends to turn up about 4 days after they say it's been posted! I hope yours shows up! I love the idea of these ,I think they might be a new near treat for me as a swap for one of the beauty boxes! Yeah, I'd definitely switch subscriptions!